Infinity Audio Marketing Sdn Bhd is one of the largest tinted film services and car accessories in Malaysia. First of all, we will present our top selling products-tinted film. When it use at your car window, our film will holds the glass in one piece, in the event of an accident preventing shards from hitting your eyes, or skin, causing serious injury. Besides that, it also may reflect sunlight, helping reduce the temperature inside the car. With many years of experiences, we corporate with many suppliers to make sure can satisfy different customer’s needs. Besides that, our technicians are highly experienced, and the utmost care is always taken to cause minimal disruptions during installation, and maintain the integrity of your environment. Other than that, our company also has complete car accessories. 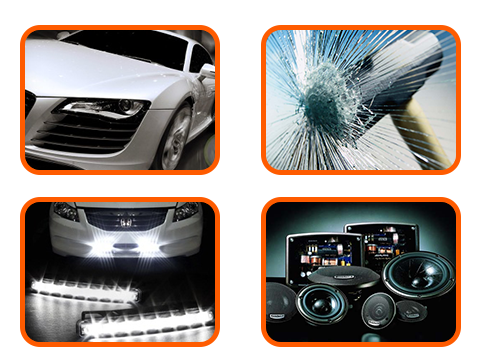 We provide LED day light, HID, lock, DVD player, spoiler, OEM DVD player and etc. Our team consists of experienced mechanics with solid foundation in mechanical and technical knowledge. Our well trained staffs are ever ready to help you with any enquiries. You are welcome to visit our company to look for more information about our company service. We strive to achieve higher production level to fulfill customer’s satisfaction and promise will deliver the best quality of products with fair prices. Please do not hesitate to contact us for any enquiry. Our company is always your best choices.